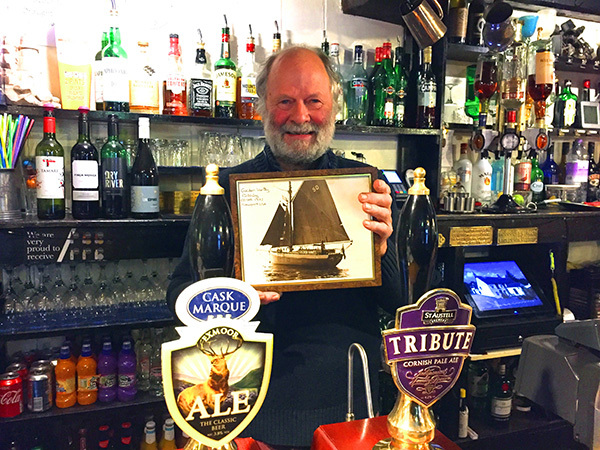 Peter Crowther, landlord of the Green Dragon in Stoke Fleming near Dartmouth, is preparing to once again set sail in the south Devon coast aboard 1908 trawler Golden Vanity. The Devon yachtsman set a record in the sailing ship by finishing last in the 1972 singlehanded ‘OSTAR’ transatlantic race. It took Peter 88 days to complete the competition – 68 days behind the winner. Peter was 29 and working as a yachting journalist when he decided to take part in the race back in 1972. It was a hard crossing, and during the race Peter had to replace the rigging three times and re-sew one of his sails. But despite all the odds he managed to finish the competition. Shortly after sailing Golden Vanity for the first time in 45 years, Peter will compete in the 2017 OSTAR race aged 74. For his tenth transatlantic crossing he will be competing on Suomi Kudu, owned by his brother-in-law. Everyone at Heavitree Brewery wishes Peter the best of luck. We look forward to hearing all about his adventures when he is back on dry land later this summer.